DOF or Depth of Field is the distance in front of and beyond the subject that appears to be in focus. A shallow DOF means only the subject is sharp while everything else is blurred while a deep depth of field has all objects from those closest to those farthest remaining in focus. In this photo, I haved used a shallow DOF. 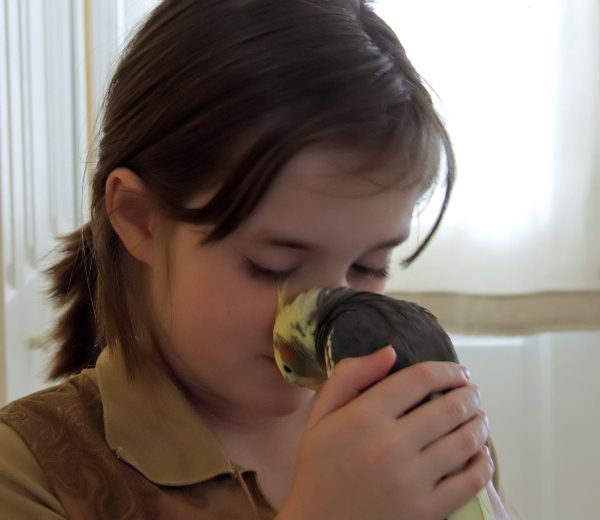 Kayla wanted a bird, so she saved her money from pet-sitting jobs. Finally, the day came and we set out for the bird store. Peekaboo stole her heart the first moment she held him.